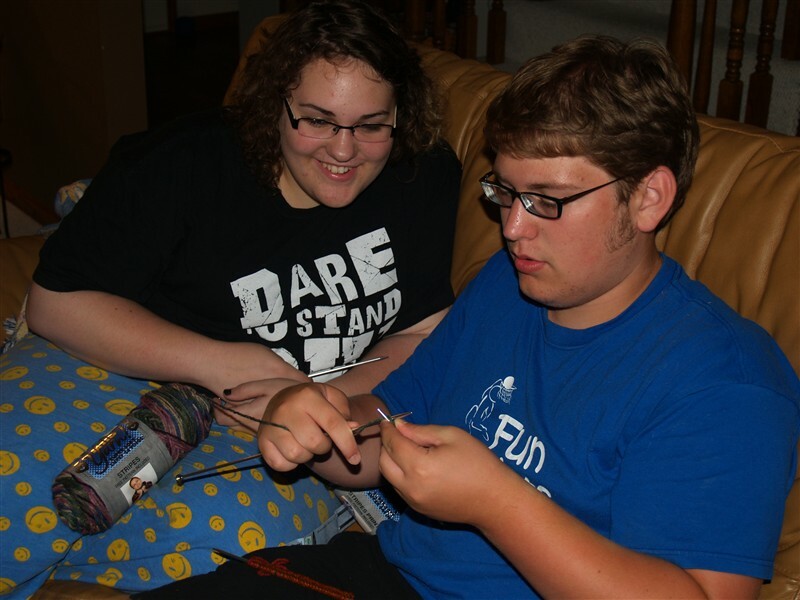 Barrett teaching his cousin how to knit. I invited my nephew, Barrett, to guest post on my blog. He is an incredibly smart college freshman. He'll probably be a world-famous scientist some day. You can say you first heard about him here! Alicia: When did you start knitting? Barrett: I started knitting when I was about 10 years old. That lasted for a year or so. Then a few years ago I picked it up again and haven't stopped. Alicia: Why do you like to knit? 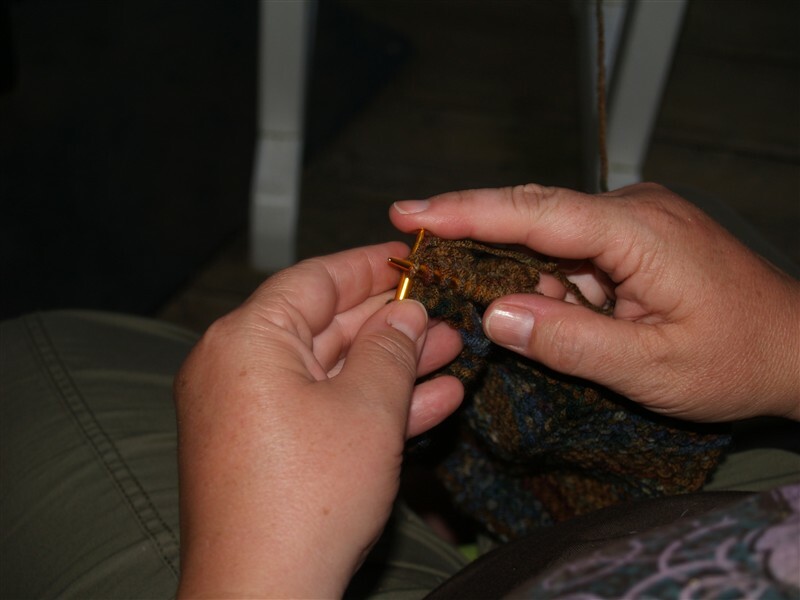 Barrett: I love to knit because if I ever feel stressed or have a lot of things on my mind I just pick up my knitting and forget about everything else. I also enjoy the many different things that you can do with knitting. If you get bored with a project find something else. Alicia: Do you have some helpful knitting resources you could share? Barrett: I use a website called Ravelry to get a lot of the patterns for projects. Some of the patterns need to be purchased but there are still a lot of patterns for free download. The Knit Witch has camera shots like this! Alicia: What is your favorite thing to knit? Barrett: I really enjoy knitting small things. I get bored really easily with pattern so I like projects that take a good amount of concentration and/or are quick to knit. Alicia: What is the hardest thing you ever tried knitting? How did it turn out? Barrett: The hardest thing I have ever tried to knit would be a fair-isle hat. That means a hat that uses two strands of yarn to create a color pattern. The hat fits and works great but there was a few little glitches. Alicia: What are you currently working on? Barrett: I am currently working on a few things. I am trying to knit that fair-isle hat again to see if it comes out better. Also I am working on a pair of socks. If you would like to hear more random thoughts from Barrett check out his vlog - Barrett Kyle Whovian [and yes - he knit an AMAZING Tardis. If you know what that is, you're a Whovian too]!